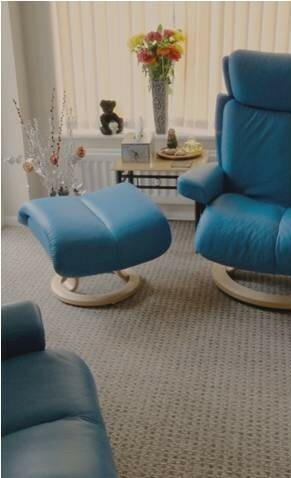 The therapy environment is safe and relaxing. Confidentiality and privacy is maintained at the highest level. I offer a free-of-charge thirty minute consultation with no obligation. Here we chat a little about what issues have fuelled your decision to seek therapy. We can also work through any questions you may have. The purpose of this is so we can decide whether we want to work together. If you can be better supported by other styles of therapy or therapists then I will say so and will usually be able to find or recommend someone. It is important to me that you find the best match of therapist and therapy whether that includes me or not. When we decide to work together, then the rest of the session will be about filling in some of your background for my information, go through further explanations of how we work together and then we create the business agreement. We will do this as quickly as possible so for the rest of the session we are then free to explore your issues, situation and the options open to us. Everything we do will be by mutual agreement. You always have a choice and a voice. My fees are typically £40 per session. I offer discounted rates for full-time students. For couples or group therapy please enquire. A regular therapy session is 50 minutes long. In the session you will be free to talk about your issues and your situation. I will listen to you carefully. I will seek as deep an understanding of you and what is troubling you as possible. I will gently and supportively ask questions. Therapeutic questions are designed to stimulate your thinking, your emotions, your behaviour and also your way of relating to others. If you are puzzled, that’s ok and I would invite you to say so. There will be a reason I am pursuing a particular line of inquiry which may not always be clear. During sessions we will sometimes look at what is happening in-the-moment: using your reactions and experiences to generate insight and possibly change. We will explore our relationship and uncover opportunities for you to find new ways of relating to others and new ways of being you. I may invite you into some therapeutic activities or experiments – chosen to help shift your perspectives and hence provide therapeutic movement and change. I may suggest actions for you to pursue outside of the therapy room and may invite you to perform ‘homework’ tasks in between sessions to increase the effectiveness of your therapy. We will regularly review our work together, assess progress and look at how we are relating to each other and experiencing our relationship. Generally, therapists do not tell people what to do with their lives – rather they support clients to find their own voice, make their own decisions, stick with it and have the courage to act.